Based in Hamilton, Ontario, Coppley (founded in 1883) is one of Canada’s principle maker of mens’ custom clothing with a reputation for quality at an unbeatable price. From the very beginning we at CLUSIER have offered the Coppley Made-to-Measure program to our clients knowing that the results would be sure to please. Here are a few reasons why Coppley’s custom services are the perfect introduction to made-to-measure suiting! 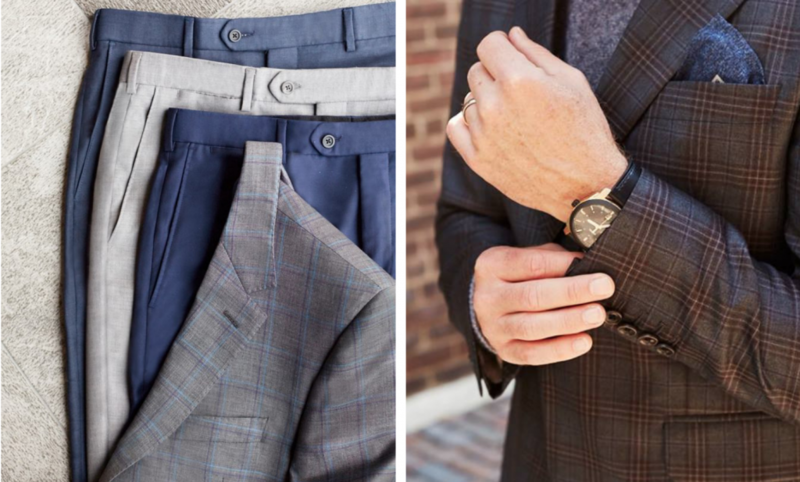 It goes without saying that made-to-measure affords more accuracy than buying a suit off the rack; however, many people are intimidated by a process they are shy to understand. With Coppley, the process of having a suit made to your particularity and preference couldn’t be easier! Having simplified the process over the years, they haven’t sacrificed precision and integrity. Carefully chosen, Coppley offers a wide selection of quality fabrics. Among them are fine English and Italian fabrics separated categorically according to classics, plain fabrics, seasonal jacket and trouser fabrics, along with a luxurious curation of exclusive fabrics from Scabal, Loro Piana, and Holland and Sherry. A Coppley suit is fully customizable: surgeon’s cuffs, various silk lining patterns, lapel size and shape, choice of buttons, single or double-breasted, and always with your name sewn on the inside. In short, the Coppley made-to-measure program is as thorough in its attention to the details as any other. At CLUSIER we wouldn’t have it any other way. Finally, Coppley made-to-measure starts at $1098. Imagine that! A custom made garment, made in Canada by a reputable manufacturer, with fabric and details of your own choosing, for less than many alternatives available off the rack. Bringing clients to look at and feel the fabrics carried by Coppley is always an exciting beginning to the made-to-measure experience. Whether you’ve simply never had a suit made-to-measure and want to see what it’s all about, or you’re a young gentleman who is in need of quality garments that fit (whether for work or entertainment), just stop by or make an appointment with someone from our team of made-to-measure specialists. 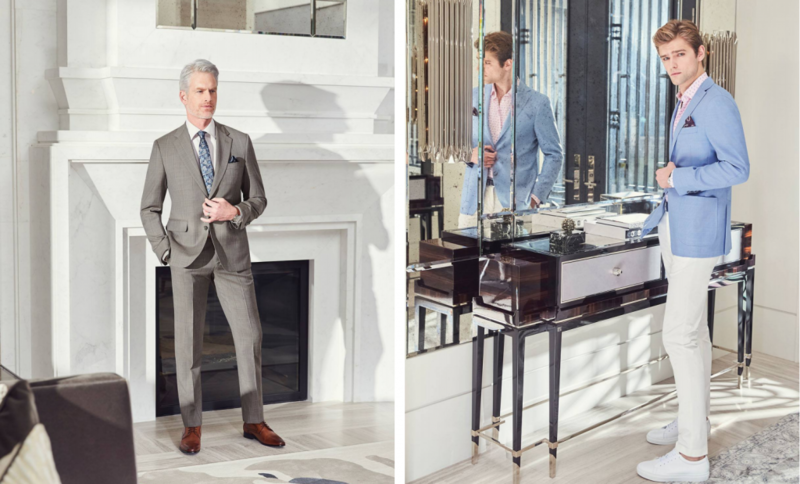 We can help you familiarize yourself with the steps necessary to your first made-to-measure experience. The coffee is on us!